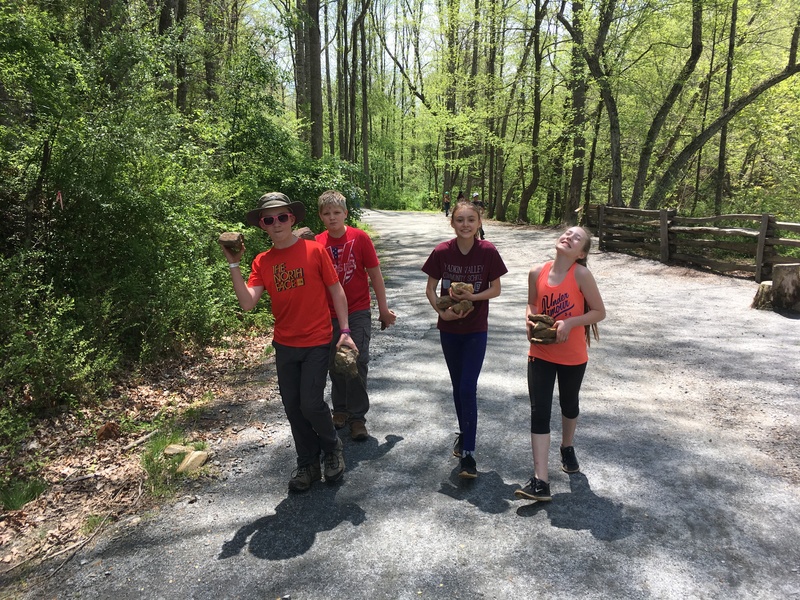 As part of our Earth Day celebration this year, our students took a field trip to one of the beautiful trails here in Elkin. This trip was fun, educational, and most of all, a way for our school to give back to our community. The trails are such a valuable asset in our community. 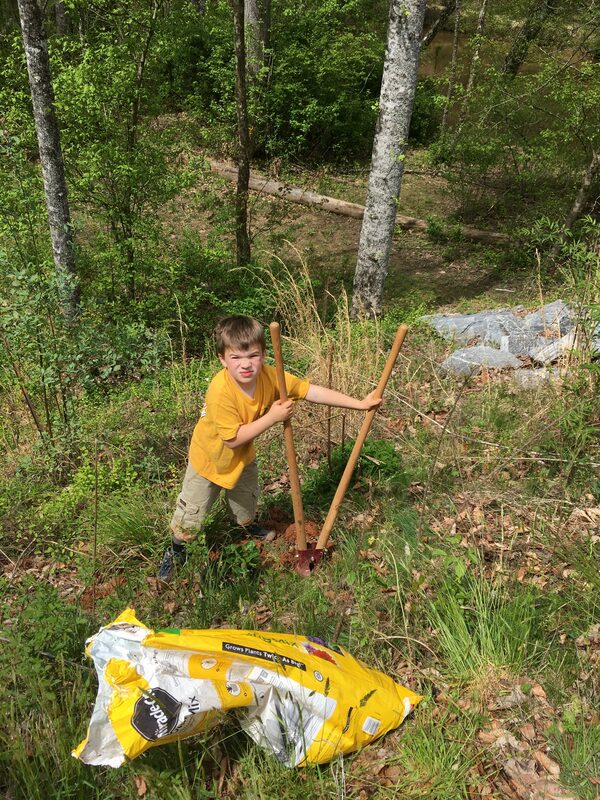 Our students enjoy using the trails and wanted to do a service project to benefit them. 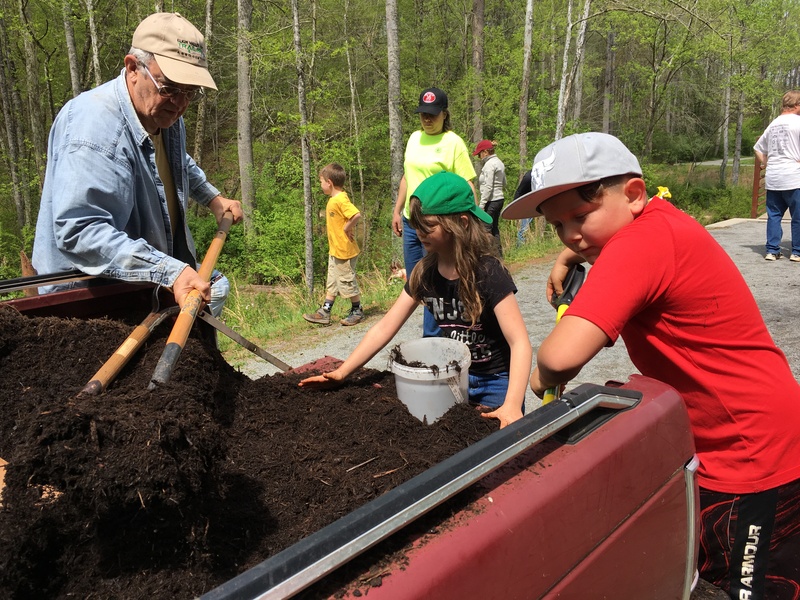 The Elkin Valley Trails Association (EVTA) seeks to create and maintain a higher quality of life while boosting the local economy. 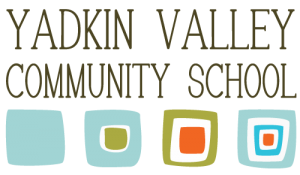 The group focuses primarily on building and promoting walking, hiking, biking, horseback riding, paddling, history, birding, and wildflower trails in the greater Elkin Valley area. The trails bring many citizens and visitors together everyday to get exercise and enjoy the natural beauty. To plan the trip, we met with the to find out how we could most be of service. 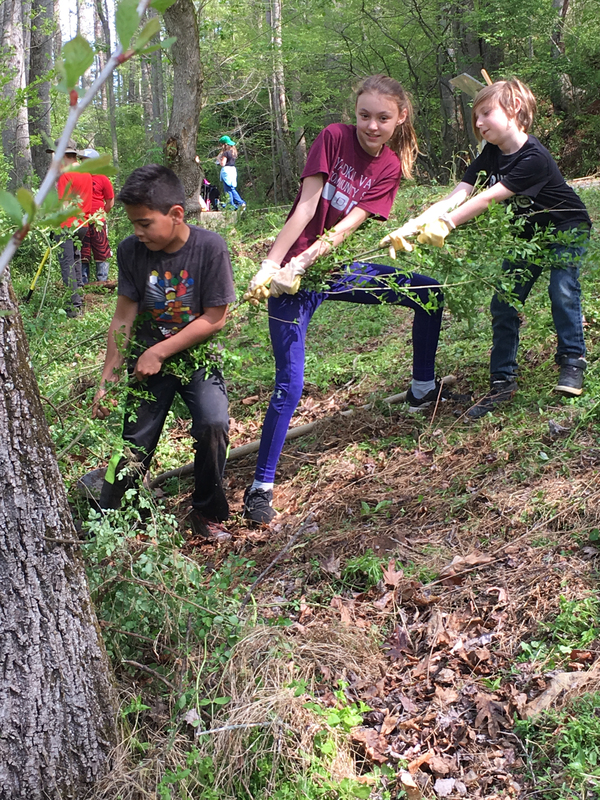 It was determined that our students could remove a lot of privet, an invasive species, and create a flower bed with beautiful flowers, mulch and a river rock border. The kids pulled privet. Lots and lots of privet. A second grader works hard digging a hole. They spread mulch in the new flower bed they created. A group of our sixth gradersarrying heavy rocks as a border for the flower bed.